Assumption Cathedral is well maintained, giving off an aura of being relatively new. It is in fact centuries old. 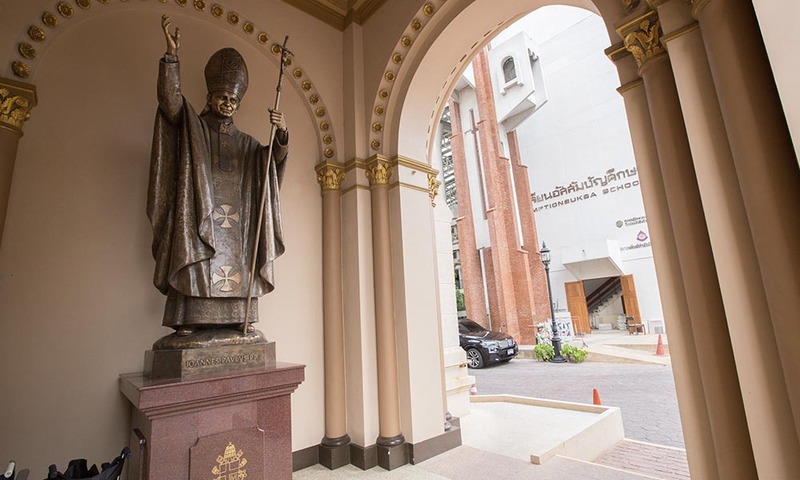 The Catholic Church’s presence in Thailand is impressively long, predating Bangkok’s establishment as the capital of the country. The first historical record of Christianity entering the region of Siam was in 1550, when a French missionary decided to preach the Gospel here. It was not until mid 17th century when the Siam mission picked up steam, as more and more missionaries arrived in Ayutthaya. What followed were alternating periods of tolerance and persecution of the missionaries. 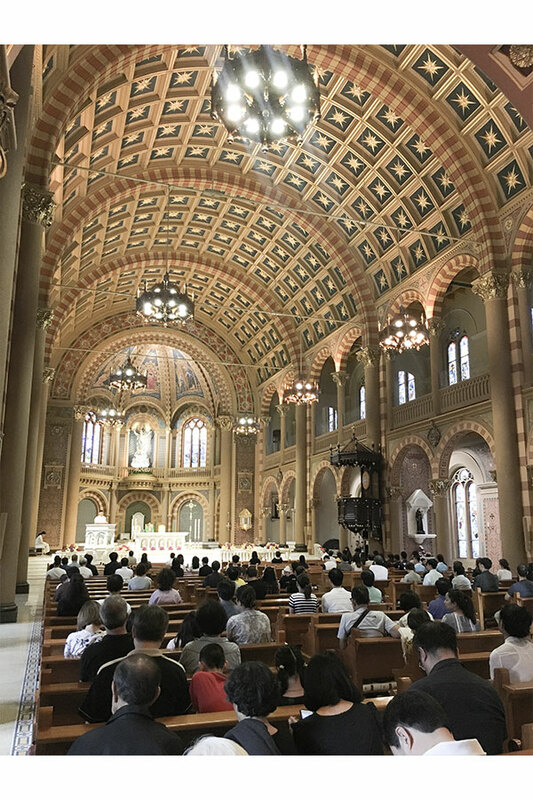 But through perseverance, the Catholics stayed, even after the fall of Ayutthaya and their work culminated in the Assumption Cathedral being the principal Roman Catholic church of Thailand in present day. 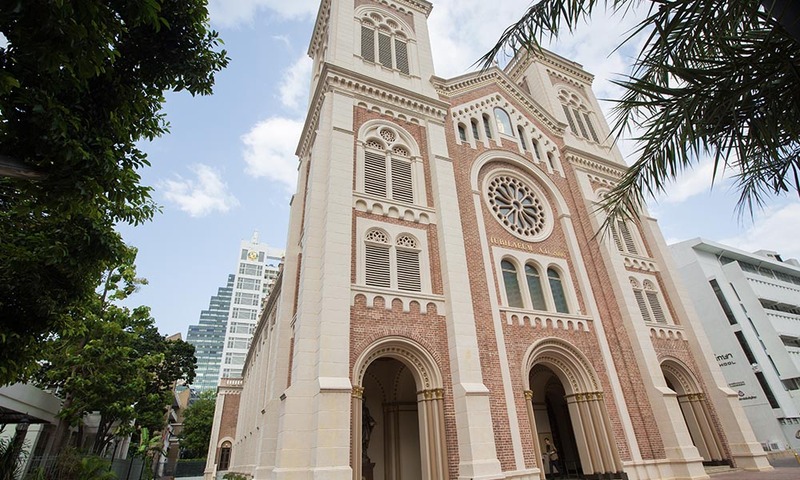 Located in religiously diverse Creative District in Bangrak, Assumption Cathedral is a landmark in the locale. In 1809, a missionary leader initiated the construction of the cathedral’s first incarnation. 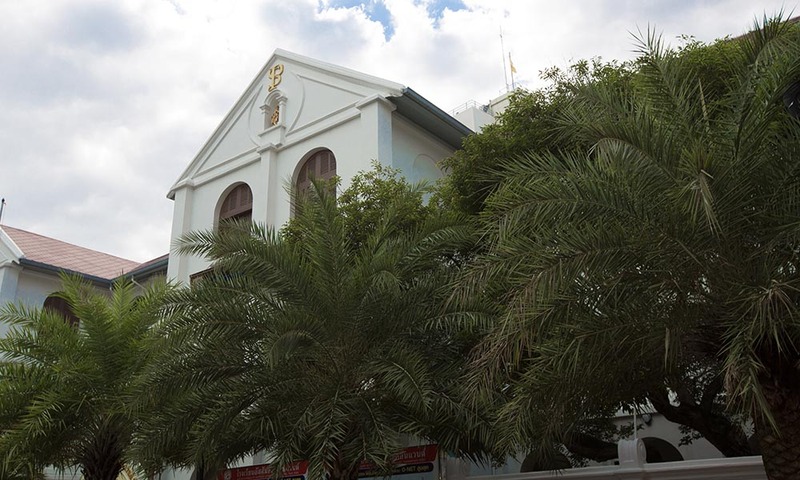 The traditional Thai-styled church was called “Assumption Church” upon completion in 1821 but shortly after was renamed “Assumption Cathedral” once it was designated as the Cathedral of the Bishop of the Bangkok Diocese. 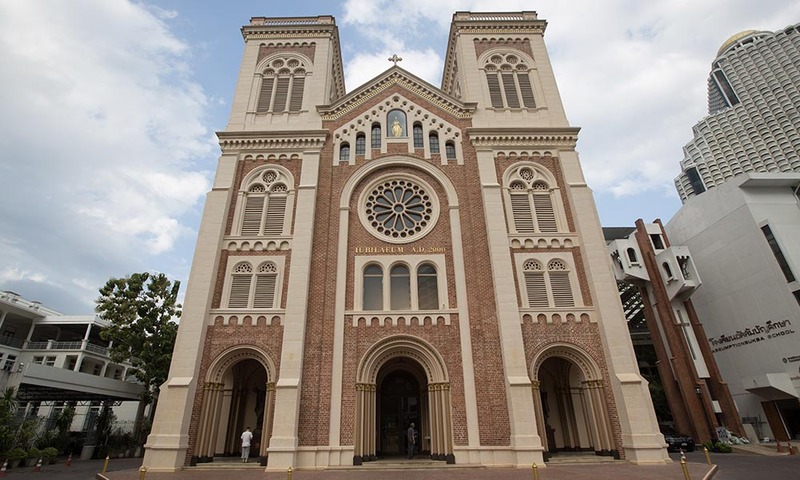 In 1909, a cathedral expansion was needed to accommodate the growing Catholic community. Within a decade, the building evolved into its stately form today. 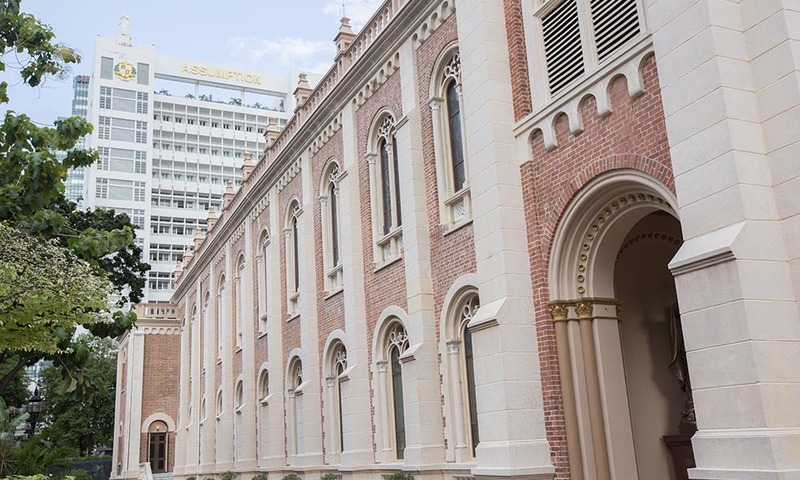 Assumption Cathedral is “hidden” in the courtyard of Assumption College, with its main entrance facing west in the direction of the Chao Phraya River. The standout building of the area was designed with Romanesque architecture. 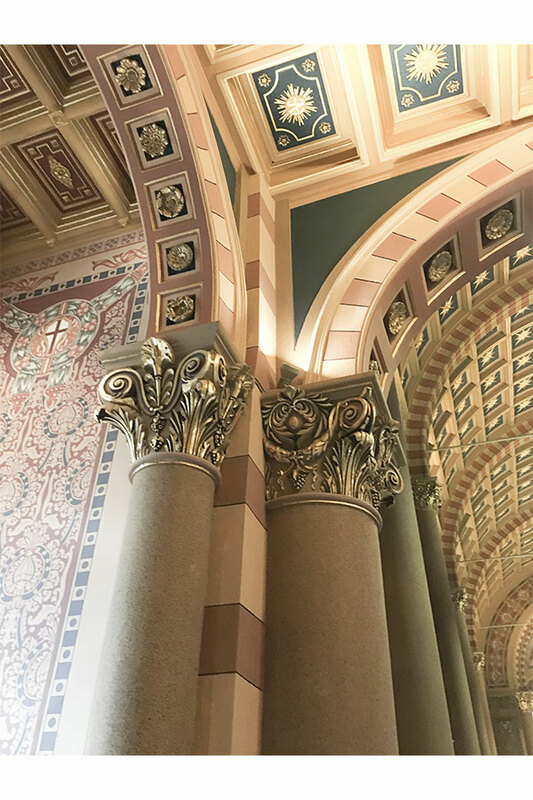 The characteristics of the cathedral, including buttresses, semicircular arches for openings, arcades, piers and columns, all combine to strike viewers with awe and tranquility. Unbeknownst to most, a crypt lies underneath the sanctuary, keeping the remains of past bishops and the missionaries. Assumption Cathedral has an open door policy, allowing visitors in during daylight hours. English and Thai services are both available to the faithful.